Donate now via IU Foundation! LINGUIST List Needs Your Help! 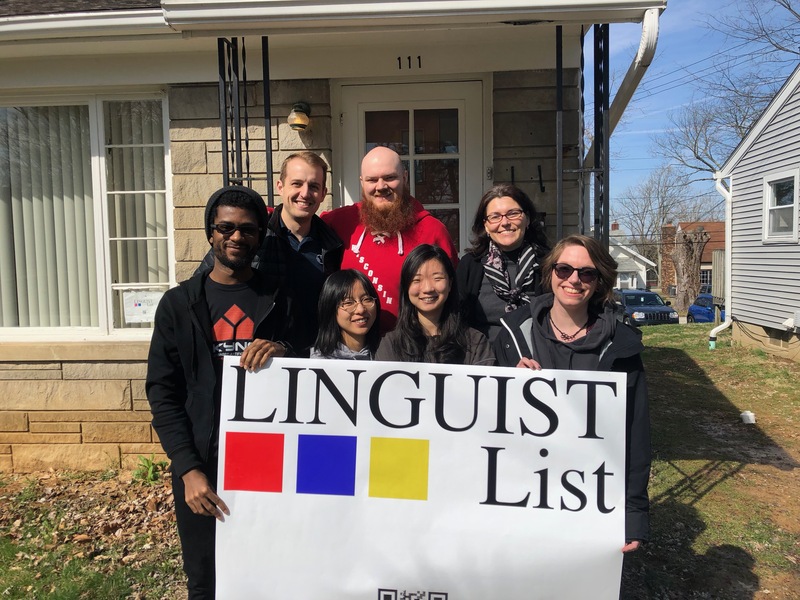 As an academic service run by linguistics students and faculty, LINGUIST List relies on your donations to financially support students and keep the operation working. Our readers' support goes directly to fund the students who edit the mailing list and website; without that support, we'd have nobody to send out the information you rely on. I think I’ve been very lucky in my career in linguistics. I was lucky that I grew up in a family where is was normal and fun to speak other languages (even though we were landlocked in the East Midlands of England). I was lucky that the schools I attended were big enough and had enough resources to let me take several languages (I’m astonished when I think back that they ran an A-level class in German just for me – I don’t think that would happen in the UK right now). I was lucky that by the time I got to think about where to study, I’d just about figured out that some universities taught linguistic things as part of their languages degrees, and that I should apply to one that did. And I was lucky that, weeks after starting a BA degree in French and German at the University of Newcastle upon Tyne, I realised that I really didn’t want to study literature at all, but that Newcastle actually had the perfect degree for me - German and English Language - and they let me swap programmes without any problem. The LINGUIST List Team works hard to ensure that linguists everywhere have access to important information about the field. LINGUIST keeps you informed about conferences, jobs, publications, academic programs, and much more. All of these resources are provided completely free to the readers and the general public.